We’d like to announce that we’re scheduled to exhibit at the Making Cosmetics 2015 conference, which takes place in March 2015 in Coventry. Having attended past events run by Step Exhibitions, such as Making Cosmetics and Making Pharmaceuticals, we were inspired to take a leap in 2015 and set up our own stand. 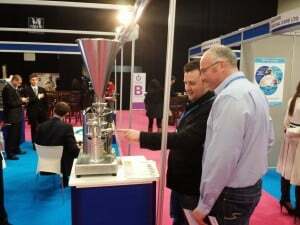 We attended Making Cosmetics 2014 in March where we had the chance to connect with suppliers, potential customers and experts in the cosmetics industry. The event gave us a taste of the benefits we might see if we continue to attend exhibitions. Making Cosmetics 2014 provided us with an expert look at consumer trends and key issues in the industry, which was useful for us as we’re looking to expand our cosmetics services thanks to the introduction of a new cleanroom in our factory. We were able to see what the market would demand moving forward, and this gave us the perfect heads up for the rest of the year. As we were visitors in 2014, we had the freedom to browse other companies’ stands and take inspiration from some innovative ideas. The trip nudged us into considering the advantages of exhibiting at the next event, which we already knew we wanted to attend. We decided we wanted to be an active part of this growing event. Making Cosmetics was only launched three years ago, but in 2014 it experienced a growth of almost 50% on the previous year. We want to be a part of the popular exhibition because we feel it would be a great opportunity to make ourselves more visible to other businesses, which may lead to setting up meetings or taking on new projects. This year we’re better equipped to handle requests for the cosmetics industry. Our cleanroom means we can offer a new range of services and opens up business opportunities. We chose not to be a bystander in Making Cosmetics 2015, and instead are putting ourselves out there for visitors to see. 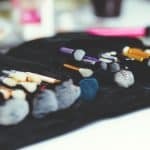 We plan to continue attending Making Cosmetics so we can ensure we’re staying up-to-date with technical and legal developments in the personal care products market. Anyone attending Making Cosmetics 2015 is welcome to come and see what ReAgent has to offer. 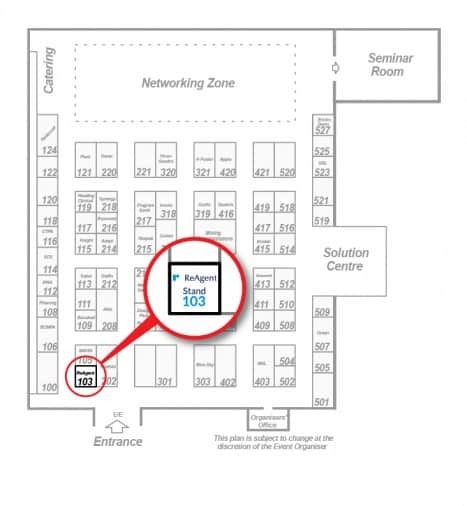 You can find us at Stand 103 – just to the left as you enter the Arena. We invite anyone to come and see our stand, even if it’s just for a chat. We would love to meet other people in the industry as we believe networking is key and have always come away with more knowledge and interesting ideas after a networking event. We plan to make our stand as open and inviting as possible. Being so close to the entrance, we hope this will encourage people to come in and say hello. In October 2014, we attended CPhI Europe in Paris. The event taught us a lot about exhibiting and we examined the stands there to get some inspiration about what we should (and shouldn’t!) do for our own stand. We will be spending a lot more time planning our stand for Making Cosmetics 2015. We want to make it memorable, but clean and professional. Our favourite stands at CPhI Europe were open-plan with clear displays and comfortable furniture for meetings. Maybe we’ll take some ideas from here for our own stand, but we will put our ReAgent stamp on it and we invite everyone to come along and see what we come up with! This is the second major event that ReAgent has become an exhibitor of. 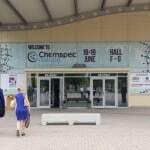 We also had our own stand at Chemspec Europe 2014. 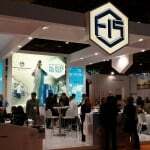 It provided a great opportunity to not only meet up with possible customers, but also to talk to potential suppliers and pick up tips and techniques for exhibiting next time. Our stand reflected ReAgent’s branding well and we were pleased with the amount of people that approached us for a chat and to take a brochure. Despite the success at this event, we only dipped our toe in the water in the ocean of exhibitions and we want to do something bigger and more impressive at Making Cosmetics 2015!